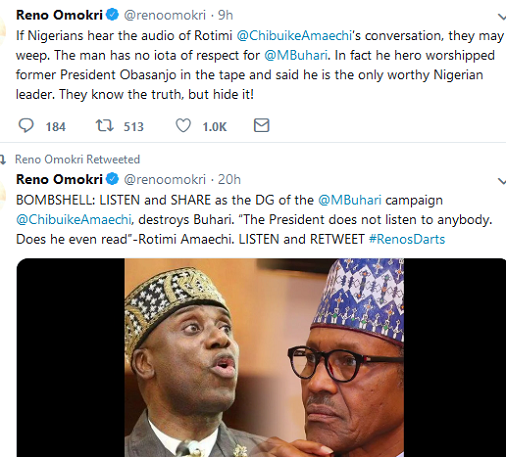 Rotimi Amaechi, the Director-General of the Buhari Presidential Campaign Organisation, has been caught on tape allegedly criticising President Muhammadu Buhari. The audio clip, which is less than 10 seconds, was posted on Twitter by Reno Omokiri, a former aide to ex-President Goodluck Jonathan. The context in which Amaechi made the statement was unknown. The person who the minister was talking to is also not stated. Wait A minute … actress Nadia Buari has given birth to twins?